Please refer to this link for detailed hardware specifications. 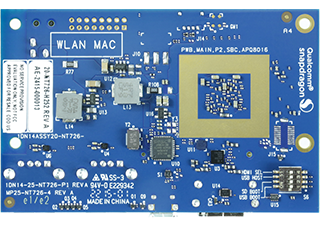 To build the Master source code release for dragonboard-410c please check GDP Master wiki page, which includes the latest instructions for every supported target board. The GDP repo uses git-submodules and source scripts to automate the configuration of the required repository build layers. Although this does not fully automate the process, the use of it is advised especially for those wanting to get up and running quickly. Install the required development tools on the host by executing the following command. 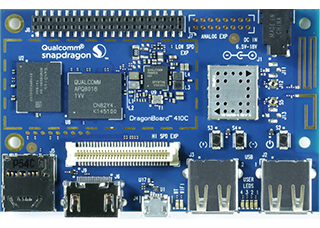 Initialise build environment, the firmware for the Qualcomm Dragonboard is distributed with a EULA and the accept-eula is required in order to accept those conditions. : unzip the bootloader that was downloaded in the previous step. Note the directory that is it located in. The bootloader is now installed on the dragonboard 410c. or download the files if you prefer not to build them. To use usb keyboard or usb ethernet, please remove micro-USB connection.